Nixon are opening a short-lived pop-up shop with a twist at Selfridges, Oxford Street. 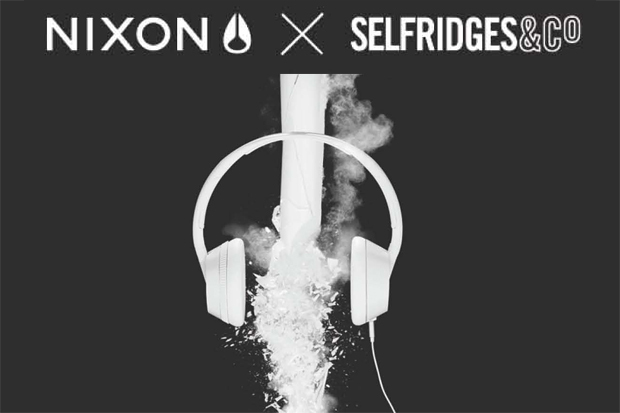 It would have been too easy to just slap a load of Nixon watched and headphones in a small room and label it a pop-up shop, so I’m glad to see both Nixon and Selfridges taking the idea a little further. If I’m being completely honest, it doesn’t surprise me seeing as it is as Selfridges – they don’t really do things by halves. The room will represent Nixon’s heritage in boardsports, highlighting various parts of the brands history and showcasing exclusive videos and music from Nixon Art Mosh. The exclusive Nixon pop-up shop will be in the Selfridges Contemporary Menswear Accessories Department from April 22nd – May 22nd.